Cedric Ricardo Alves Soares is one of the popular professional football players. 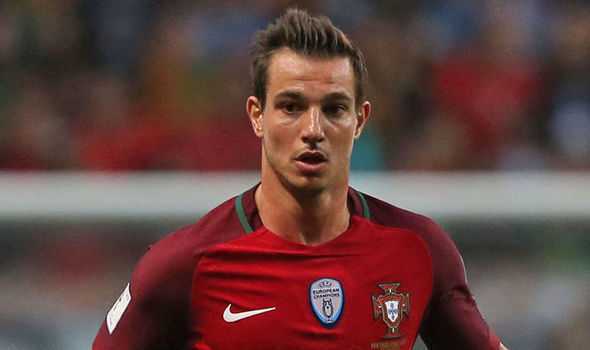 He is simply named as Cedric Soares. He plays for Southampton F.C and Portugal National Team. He is well known Portuguese celebrity. He is famous for contribution to professional life. He is best at right back position. Currently, he is playing in Southampton. He had played for Sporting CP. He is right foot player. His Shirt number is 2. Valery is one of his best teammates. He is very talented and skilled player. He was the member of the Sporting club, that won Taca de Portugal in 2014-15 and was the important member of the National Team that won Euro Cup 2016. 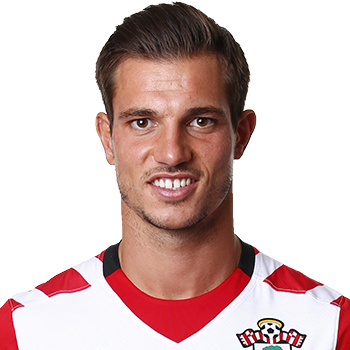 Passionate and enthusiastic player, Cedric Soares was born on 31st August 1991. He was born and raised in Singen, the city of Germany. His full name is Cedric Ricardo Alves Soares. He has not revealed more information about his parents. His nationality is Portuguese. His astrological sign is Virgo. At the small age, he began his career with football. Cedric has got a great personality. Talking about his body, his height is 1.72 m. His weight is of 67 Kg. He has a balanced body with good health. He has an attractive body figure. His smiling face and charming personality have helped him to gain the attention of all the viewers. Cedric began his football career in the year 1999 when he was just eight. He joined Sporting CP Youth Club and played brilliantly for this team. He made his Primeira Liga debut against Vitoria de Setubal on 8th May 2011 with loss score of 0-1. Later, in the 2011-2012 seasons, he along with his teammate, Adrien Silva won the season's Taca de Portugal against Sporting with winning score of 1-0. He then returned to the Lisbon side and made the first goal in the Portuguese top division on 15th December 2011 against C.D Nacional. He along with his team again won the match against S.C Braga on 31st May 2015 in a Penalty Shootout. After playing for Sporting C.P, he then signed a four-year contract with Southampton with a fee of €6.5 million. On 30th July 2015, he made his team debut against Vitesse Arnhem with the winning score of 3-0. Later, in the Premier League, he assisted for Graziano Pelle and made an opening goal against Newcastle United and the game went upon draw with a score of 2-2. On 18th March 2018, he made his very first goal for this team against Saints with the winning score of 2-0. Cedric had represented himself in his national country, Portugal in both senior as well as junior levels in many tournaments. On 1st September 2011, he made his international debut in the 2013 UEFA European Championship qualifiers n Moldova. He had played Portuguese U21 for ten times. On 11th October 2014, he appeared with the senior team against France with the winning score of 1-2. He was also selected for the UEFA Euro 2016 squad and his game took place on June 25th against Croatia with the winning score of 1-0 and later won the final of UEFA Euro 2016. In the 2017 Fifa Confederation Cup, he made his first goal for his country on 17th June 2017 against Mexico. Soares is not married yet but he is in a relationship with Filipa Brandao, his girlfriend. They seem to be very happy with each other. The couple makes public appearances together often. There is no any sign of Separation between them. They are living peacefully. Cedric was rumored to have affair with Debora Picoito, a model. But later she herself revealed that she has no affair with him. Currently, he is residing in an apartment in Southampton, England with his girlfriend Filipa. This excellent player makes good money from his work. He is receiving an annual salary of £3,380,000 million from his present club. His current market value is £13.50 Million. His net worth is kept in privacy but there is no doubt in the mind of his supporters and followers he is satisfied with his earning. His exact net worth figure is still yet to get unfolded.